Lawrence L. Bushkell, Jr., M.D. To address growing demand for skincare services, dermatologist, Julius Clark, M.D., founded the Group in 1971 to provide the highest quality skincare in a safe environment by licensed health care providers, who are overseen by board-certified dermatologists. With the advent of its widely popular skin rejuvenation and laser treatments in 1998, Knoxville Dermatology Group opened its successful MediSpa in 2005. In 2010, MediSpa at Knoxville Dermatology Group opened a second location at the LeConte Medical Center in Sevierville, Tennessee. Yet, in 2015, the Group continued to expand its quality care by building a stand-alone, state-of-the-art facility in West Knoxville, which houses the dermatology office and MediSpa. 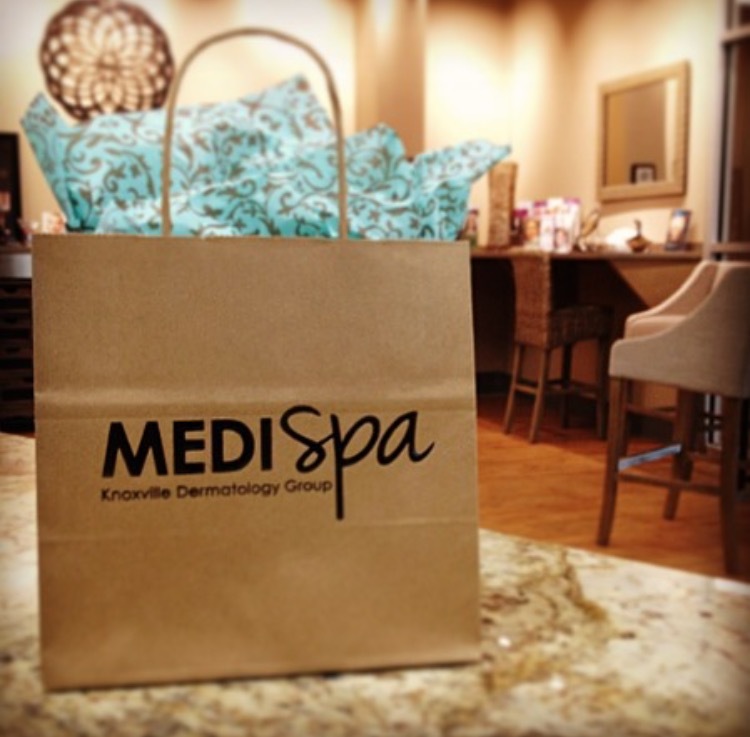 A medical day spa (or medispa) offers more services and medical expertise than the typical spa. For example, medical day spas provide medically based consultations and treatments at the skilled hands of licensed health care professional, medically-trained aestheticians, and board-certified nurse practitioners. Whether you are receiving a simple facial to freshen the look and feel of your skin, anti-aging dermal fillers, or a series of complex chemical peels to treat acne, physicians and licensed health care professionals are always on hand to ensure that your treatment is safe and customized to address your unique needs. A leader in cosmetic injectables and laser treatments, MediSpa at Knoxville Dermatology Group is one of the largest dermatological providers of Botox® Cosmetic in East Tennessee. In addition, MediSpa has won prestigious awards, such as the Allergan Black Diamond Award, recognizing the expertise, excellence, and extensive experience that accompany each of our cosmetic services.